What’s your favorite Pete Rock-produced album? Mecca & the Soul Brother? Soul Survivor? The Main Ingredient? If you’re a regular reader of this site, you appreciate that classic Hip-Hop sound (and you also probably have a very elaborate answer to this question). Luckily for you, Pete Rock and Camp Lo are back with a new mixtape. 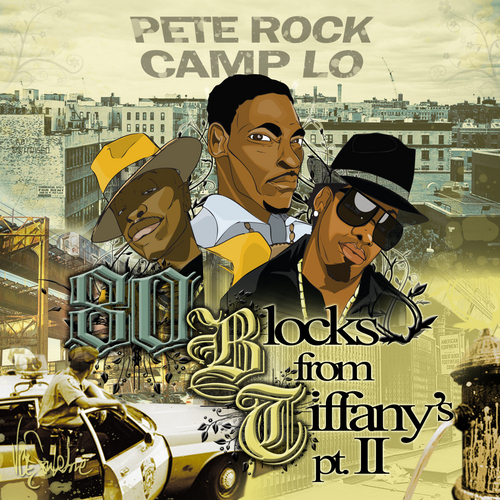 80 Blocks from Tiffanys Pt II is the sequel to the Soul Survivor’s 2011 collabo with Camp Lo. It’s a lengthy 25 tracks long, free, and includes guest appearances from the likes of Talib Kweli, Mac Miller, and Ab-Soul. Download it here. It will hold you over until Pete Rock’s highly anticipated full-length release, Pete Rock Sessions, due in 2014.